YouTube is the big thing today and even in the future too. YouTube has real craze over other video publishing platforms; it is more than a video platform for marketers and advertisers in particular for the individual artists on the platform. YouTube is Video Ocean, and it is an ocean of opportunities. Some people will hold that opportunity and lead and some just stuck up in the mud due to lack of proper knowledge, commitment, planning, and coordination. You might have seen several successful YouTube channels which are earning considerable revenue and fame. However, you might not have observed their strategy. If a channel on YouTube were successful, the credit would not go to a single individual as there will be a willing team behind every channel success. Many such factors influence the YouTube channel success. Let us discuss the effort and power of a right team in YouTube channel growth. Tips for getting good subscriber base and promotion to your YouTube channel. YouTube channel growth is not an easy task which can accomplish by simply throwing some content on the audience. It is teamwork that makes the YouTube channels successful across the platform. every member of the team is paramount to the YouTube channel growth. Every team member must have good coordination with the work funnel to develop the YouTube channel. It is the main ingredient of the most successful YouTube channel. 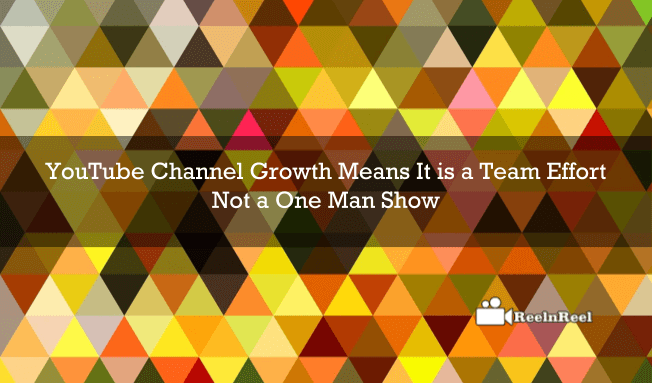 Prepare a good team to start working on your channel growth. Find the right people who can go with your planning and objective and who can understand your goals much better than anyone. Identify and hire a real professional that suit your requirements. So, get connected with the best professionals who can enhance your channel development. You must need a good professional content developer on your team who can fetch the best content ideas that are best for your channel growth. Internal content suggestions are very helpful to your YouTube channel to grow because there is a need of publishing the content continuously with a consistent effort to reach the audience across the platform. So, the ideas must be unique and creative to approach the audience and let them watch your content with best content suggestions. We all know that we watch explicit videos that have interesting titles and thumbnails. So the internal content advice team must have the capability of fetching the new and unique content ideas which can attract the people towards your channel content. Social media is playing a huge role in the marketing and advertising. People are spending their time in watching the videos and other content across the web. Social media platforms are the best place to get massive subscribers and followers for your channel. You must approach the people on social media with a definite plan to get them connected to your channel and the content. Collaborate with the fellow Youtubers who are in your niche and collaborate with them to grow your channel. Always remember to be in your niche and don’t forget to appreciate the other YouTube channel. Respond to your audience suggestions and comments on your content in a positive way and stay connected with the audience. Let them know how much value you are giving to your subscribers and viewers on YouTube platform. It helps you to get good results and pave a way to grow your channel. An email signature can also be call as a sign line. The information was a tag at the end of the email which contains the details about the business or products or services. Emails have the unique capability of marketing and advertising though it is a traditional type of marketing technique. The email marketing was still at the place and is use by the video marketers and YouTube channels for their promotions. The professional email signature plays a great role in driving the best traffic towards your website, and it also helps you in increasing your visibility. As a YouTube channel creator, you can boost up your team to be on dedicated email signature marketing and here are some best practices you can go. Your logo must be there in your email signature while sending relevant information about your channel to the targeted audience. The layout design must be attractive as well as simple. People must identify your channel logo so it must be catchy and exciting to remember the things. Link the email recipients to your channel, so whenever you publish a new video, you can only share your video with your potential subscribers and viewers across the web. Connect with you followers using your social media accounts and inform them about your upcoming videos. • Produce engaging content with high-quality video and audio. • You must post your videos as per the schedule and have to boost your standards. • Try to publish at least one video per week but stick to the plan. Maintain timings and do exactly as per your planning. • Optimize your channel by optimizing your video metadata and channel design along with the titles. • Try to fetch good ad interesting titles to your videos. • Utilize the keywords that are suggested by the SEOs and improve your channel ranking across the YouTube search engine. • Use Google ad words and YouTube analytics to estimate your reach basing on demographics and your location. • Use paid video ads and another type of YouTube ads for promoting your channel. • Don’t just stick to the YouTube platform. Go beyond YouTube to promote YouTube channel. Open a dedicated page on Facebook and other social platforms to get connected with your fan base. • Don’t make a too long video which might bore your audience. Finally, each and every person in your team must perform their task in a way you have planned the things and this teamwork will reap significant benefits and helps you to stood at top places in your search results.